Not having enough background of the Jewish Koine Greek, or Jewish Hellenistic Greek, the variety of Koine Greek (hē koinē dialektos ‘the common language’) or “common Attic” found in a number of Alexandrian dialect texts of Hellenistic Judaism, most notably the Septuagint translation of the Hebrew Bible which at the time of the King James Bible‘s first edition was not yet available, as well as Greek Jewish texts from Palestine. This made that lots of words for previous Bible translations and the Authorised Version, where not yet understood properly and of some words they thought it were persons (names) instead of things (nouns) and situations. Important historical sites of Hellenistic and medieval Judaism. – Encyclopædia Britannica, Inc. Words and word elements were adopted and adapted into Latin over c.1,500 years, and passed through Latin into many European and other languages, being used in the main for scholarly and technical purposes. The flow into English was at first very limited and largely religious, such as Old English cirice and its descendant church (from kūriakón dôma the Lord’s house). Katharina von Bora (1499–1552) one of the most important participants of the Reformation because of her role in helping to define Protestant family life and setting the tone for clergy marriages. At the beginning this knowledge of languages was a man’s job, but from the 19th century women began to have their say as well. Lots of Christians have the wrong idea that women in the ancient times had nothing to say. Many also think that in Christianity women played no role at all. they should know that the Set Apart or Holy Scriptures acknowledges and celebrates the priceless value of a virtuous woman (Proverbs 12:4; 31:10; 1 Corinthians 11:7). Whilst by the Jews there where not so many women teachers or rabbi’s, from the beginning the master teacher Jeshua had a big heart for them and had many women around him, following him everywhere they could and talking about his actions. The Bible teaches women are not only equals with men (Galatians 3:28), but are also set apart for special honour (1 Peter 3:7). Jeshua also knew how in the past the the priceless value of a virtuous woman was celebrated and insisted those around him to respect the woman also. (Proverbs 12:4; 31:10; 1 Corinthians 11:7). Not only did the master teacher encourage their discipleship by portraying it as something more needful than domestic service and always treated women with the utmost dignity — even women who might otherwise be regarded as outcasts (Matthew 9:20-22; Luke 7:37-50; John 4:7-27). Clearly the listening to Jesus’ teaching was for the rabbi important, because he would not be long with them. for him it was also important that they would know what they had to talk about when he would be gone, because they had to go out into the world and witness about what he had done, and for telling others about the coming Kingdom of God. All those who wanted to be called a disciple or follower of Christ had to witness for him. Already from the start women where there with Jesus. Christ’s first recorded, explicit disclosure of His own identity as the true Messiah was made to a Samaritan woman (John 4:25-26). When he was gone there were also women present in the room when the Spirit came over the apostles. From then onwards they too were not afraid any more to come out with their beliefs. Soon they too took also their role in the preaching and some of them even became renowned. Often it were women who opened up their house for followers of Christ coming together and to lead the meetings. Also when things where not so clear for some they dared to call them with them and explain it so they could better understand the truth. Also women who talked about Jesus but did not know everything well, were helped by the apostles so that they could do a better job. Throughout history there have always been faithful women spreading the Word of God. It might well be that the energetic monk and young theologian Martin Luther, who felt himself to be “a sinner with an unquiet conscience,” was stimulated by the former Benedictine and Cistercian nun Katharina von Bora, who had fled her convent with several other nuns or ‘vestal virgins’, to Wittenberg, and who became, at the age of 26, his wife in 1525 (him being 41) and became known as “die Lutherin”. She became the “boss of Zulsdorf,” after the name of the farm they owned, and the “morning star of Wittenberg” for her habit of rising at 4 a.m. to take care of her various responsibilities, administering and managing the vast holdings of the monastery, breeding and selling cattle, and running a brewery in order to provide for their family and the steady stream of students who boarded with them and visitors seeking audiences with her husband. It can well be that her being at the site of the prosecuted Luther, made him to continue his translation work of the Bible and not giving up his ideas. In the two following centuries it were women who often took care that the children got to hear the Word of God at home, whilst they were able to hide this sacred book for the persecutors. Those who fled from the European continent to look for a New World also carried with them the Holy Bible in their language or in Latin. In the 17th century religious groups found their way to the New World and at certain places founded their own colonies so that they could perfectly practice their own faith. Religious liberty for others — a concept Americans would later take for granted — was not part of the Puritans‘ plan. Instead, founding Governor John Winthrop envisioned a model “Citty [sic] upon a hill,” an example of Christian unity and order. Not incidentally, women were expected to play a submissive and supporting role in this society. At the Massachusetts Bay Colony a skilled midwife and herbal healer with her own interpretation of Puritan doctrine, challenged the leaders of this “wilderness theocracy,” as Barbara Ritter Dailey describes it. Anne Hutchinson [Anne Marbury Hutchinson (1591-1643)] eldest daughter of a strong-willed Anglican priest who had been imprisoned and removed from office because of his demand for a better-educated clergy, had probably inherited the strong will of her father, taking with her a legacy of biblical scholarship and religious independence. When the Anglican Church silenced one of her favourite teachers, John Cotton, one of England’s outstanding Puritan ministers, one of New England’s first generation, leader in civil and religious affairs, and a persuasive writer on the theory and practice of Congregationalism, left for the colony of Massachusetts in America, Hutchinson became extremely distraught. She finally persuaded her husband to leave for America, so that she could follow her religious mentor. William Hutchinson was granted a desirable house lot in Boston, and both husband and wife quickly became church members. When she was criticized for failing to attend weekly prayer meetings in the homes of parishioners, she responded by holding meetings in her own home. She began by reiterating and explaining the sermons of John Cotton but later added some of her own interpretations, a practice that was to be her undoing. As her meetings became more popular, Hutchinson drew some of Boston’s most influential citizens to her home. Many of these were town merchants and artisans who had been severely criticized for profiteering in prices and wages; they saw in Hutchinson’s stress on grace a greater freedom regarding morality and therefore more certainty of their own salvation. 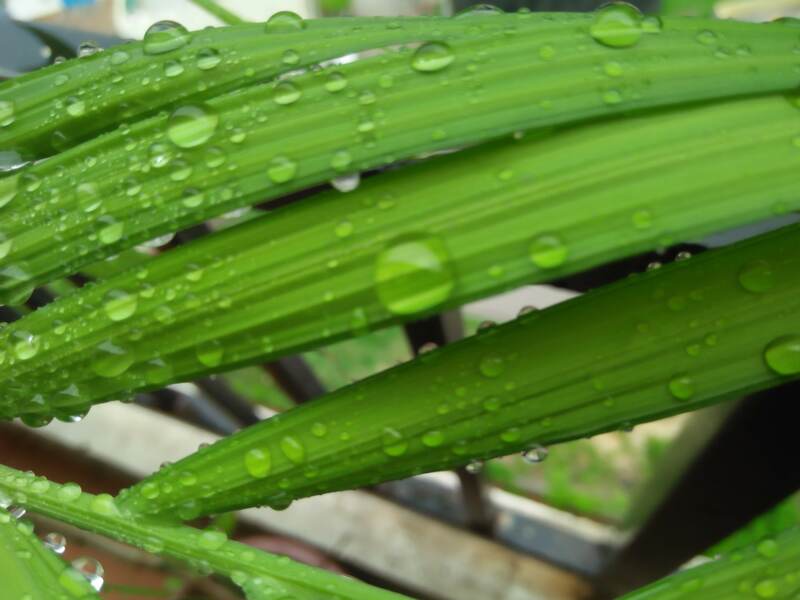 But others came in search of a more meaningful and personal relationship with their God. As she attracted followers and defenders, the orthodox Puritans organized to oppose her doctrines and her advocates. Cotton was chiefly responsible for the exile of Anne Hutchinson, because of her antinomian doctrines, and for the expulsion of Roger Williams.They continued to preach and used their own words. Quoting from the Bible in a non literal way became common practice and would be later taken up in presenting fragments or stories from the Bible. This free telling of Bible stories was also taken up in other languages and was breeding ground for children’s Bibles and freely quoted or paraphrased Bible translations. The priests and male clerics mostly kept the bible in their hand and sometimes read some phrases out of it. They still were in the majority, though some ladies walked to the forefront and got followers. It had not all to be literate women who took charge. An unlettered daughter of a blacksmith who was probably named Lees joined at the age of 22 joined the faith group Shaking Quakers, or Shakers, because of the shaking and dancing that characterized their worship (It originally derived from a small branch of English Quakers founded by Jane and James Wardley in 1747). Ann Lee married in 1762, a union that tradition holds was unhappy and may have influenced her later doctrinal insistence on celibacy. She became the group their accepted leader and was known as Ann the Word or Mother Ann. Although illiterate, she claimed the gift of tongues and the ability to discern spirits and work miracles. She was also convinced of the holiness of celibacy, an idea stemming from her own experience of losing four children at or soon after their birth. In 1774 she led a band of eight to America, where, two years later, at Watervliet, N.Y., the first Shaker settlement in America was founded. The Shaker communities flourished in the mid-19th century and contributed a distinctive style of architecture, furniture, and handicraft to American culture. The communities declined in the late 19th and early 20th centuries. The two American converts who followed Mother Ann as Lead Elder — Joseph Meacham (1787–1796) and Lucy Wright (1796–1821) — developed an institutional structure for less antagonistic relations with society. At that time, a woman’s leadership of a religious group was considered to be a ‘sect leader’ and as a radical departure from Protestant Christianity. Living apart from her husband Elizur Goodrich, she like him committed herself fully to Shakerism and within a decade rose to leadership within the Shakers movement, with the power and authority which women were not allowed in other religions. Wright was fully aware of our task of witnessing and sent missionaries to preach across New England and upstate New York as well as into the western wilderness, where those preachers recruited proselytes and established new Shaker villages in Kentucky, Ohio, and Indiana. Under Wright’s administration, Shakers standardized and increased book and tract publishing for the widely-scattered religious society. Their first statement of beliefs was Testimony of Christ’s Second Appearing in 1810, followed by a hymnal which served much the same purpose in 1813. This way the bible-fragments were brought to the general public in ordinary simple words. In the early nineteenth century the movement expanded into Ohio, Indiana, and Kentucky. By the mid-1820s about 4,000 believers lived in sixteen communal villages, usually with residential “Great Houses” surrounded by meetinghouses, barns, mills, workshops, and smaller residences for children and probationary members. A hierarchy of elders and eldresses who had completely abandoned the sinful world were in charge. 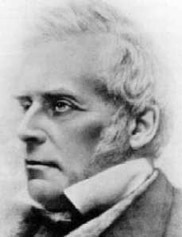 Charles Grandison Finney (1792–1875) American Presbyterian minister and leader in the Second Great Awakening in the United States. In the New World several Female Missionary Societies saw the light and invited men as well as women to proclaim the Word of God. The Female Missionary Society of the Western District hired in this way Charles Grandison Finney who came to promote social reforms, such as abolition of slavery and equal education for women and African Americans. From 1835 he taught at Oberlin College of Ohio, which accepted all genders and races, opening the way for more women able to read the Bible. The Christians who believed only in One God and wanted others also to know the biblical truth, saw with dismay how Finney used scare tactics to gain converts. During the 16th and 17th century Anabaptists were heavily prosecuted in Europe because of their view of Jesus his position and man’s position in this world. By the many searchers for the truth lots of them found they could not take on the human doctrines like the Trinity and found that people had to be fully aware of what believing meant and when to commit themselves to the Only One God. From the Low countries many went to America. On the boat-trip they had a very good opportunity to speak about the biblical truth to others form different denominations. also the English doctor John Thomas who as ship’s surgeon on the Marquis of Wellesley, took the occasion to share his ideas with many people on board. When this boat docked in New York, Thomas travelled on to Cincinnati, Ohio where he became convinced by the Restoration Movement (also known as the or the Stone-Campbell Movement) of the need for baptism and joined them in October 1832. Looking for the “church within” we can imagine that people tried also to express themselves freely to show others how they understood the Word of God. The Restoration Movement developed from several independent strands of religious revival that idealized apostolic Christianity. They were united in the belief that Jesus is the Christ, the Son of God. After his bad experience fearing for his life when the boat had nearly sunk, Thomas took his vow to God seriously and went going from one place to another, preaching the Word of God. Many of his followers came to “the Brotherhood”, and started to have meetings in their houses or barns to study the Word of God. For them it was clear that human doctrines and church creeds divide and that real Christians should be under Christ. for them God’s Word was clearly given to all people and the Bible was not to be the matter only for clergy. For them all Christians should take the Bible as their guide and leader and should suppress all divisive doctrines and practices. One of Thomas his disciples would find enough people interested to print pamphlets and tracts. He also started as a Christian restorationist minister and became better known as Pastor Russell, being the instigator of Russellism or founder of the Russellites, opposite the Thomasites or followers of Dr. Thomas who founded the Christadelphians, Brothers in Christ who took studying the bible as one of their priorities (hence the other name Bible Students). Dr Thomas also wrote for and was editor of the Apostolic Advocate which first appeared in May 1834, whilst Charles Taze Russell started only in July 1879 with publishing his monthly religious journal, Zion’s Watch Tower and Herald of Christ’s Presence. In 1881 he co-founded Zion’s Watch Tower Tract Society with William Henry Conley as president, providing the establishment of an international Bible Student movement. In 1884 the corporation was officially registered, with Russell as president. From then onwards those Bible Students tried to bring Bible fragments in the common language of the day. For them women had also their say and were worthy co-operators to produce articles and to bring bible texts in contemporary American English. It was his successor as society president, Joseph Rutherford who brought a wide division in the Bible student movement and created the Jehovah’s Witnesses who would work at translating the Word of God, doing a marvellous job, presenting bibles in many languages all over the world, so that nobody would have an excuse he or she could not find a Bible in a language he or she understands. In 1862 Mary Jane Patterson became the first African-American woman to receive a B.A degree in the New World. She received a recommendation for an “appointment from the American missionary Association as a … teacher among freedmen.” In 1865 Patterson became an assistant to Fanny Jackson Coppin at the Philadelphia’s Institute for Colored Youth (now Cheyney University of Pennsylvania). In 1869 to 1871 Patterson taught in Washington, D. C., at the Preparatory High School for Colored Youth known today as Dunbar High School (Washington, D.C.). She served as the school’s first Black principal, from 1871 to 1872. She was reappointed from 1873 to 1884. During her administration, the school grew from less than 50 to 172 students, the name “Preparatory High School” was dropped, high school commencements were initiated, and a teacher-training department was added to the school. Patterson’s commitment to thoroughness as well as her “forceful” and “vivacious” personality helped her establish the school’s strong intellectual standards. We can imagine by those standards being a Christian life style and good moral where essence. Already around the turn of the 18th to 19th century women had started wanting to have a stronger voice in the education of children. Also parents started looking more at how to bring up children together in a community. They had seen the public school system starting to develop going away from certain ways of life preferred by them. The spiritual aspect was important and could not be forgotten. Discontented with the new public school system more alternative education developed in part as a reaction to perceived limitations and failings of traditional education. In many of such schools at that time the Bible and Christian life formed an important element of educational basic training. A broad range of educational approaches emerged, including alternative schools, self learning, homeschooling and unschooling. In 1840 the English family Wilson though originally Baptists, joined the growing Campbellite movement and moved to the New World four years later. In Geneva, Illinois the family began to distance themselves from the Campbellites. In 1846 Benjamin Wilson wrote his first letter to the other ex-Campbellite John Thomas, as recorded in the latter’s magazine The Herald of the Future Age, agreeing with the Thomas’ views on the immortal soul – the initial cause of his break with Campbell. There is considerable correspondence in Thomas’ magazines from various members of the Wilson family over the next several years. Just as John Thomas had been re-baptised in 1847, Benjamin Wilson was rebaptised in 1851, marking off a new start from the Campbellites. From 1855 to 1869 Benjamin Wilson published a monthly religious magazine, the Gospel Banner, which merged with John Thomas’s magazine, Herald of the Coming Kingdom. In England there had also been a polyglot translation by Brian Walton who was aided by able scholars and used much new manuscript material (London, 1657). It included the Ethiopic Psalter, Canticle of Canticles, and New Testament, the Arabic New Testament, and the Gospels in Persian. His prolegomena and collections of various readings mark an important advance in biblical criticism. The Bible was also published in several languages by Elias Hutter (Nuremberg, 1599-1602), and by Christianus Reineccius (Leipsic, 1713-51). Ten years before the “Polyglot Bible in eight languages” (2 vols., London, 2nd ed. 1874) the Christadelphians produced the complete two-language Emphatic Diaglott translation, of the New Testament by Benjamin Wilson. For the Greek text he based it on the various Readings of the Vatican Manuscript, No. 1209; the text used by the German rationalist Protestant theologian Johann Jakob Griesbach, who was the earliest biblical critic to subject the Gospels to systematic literary analysis. In this translation the name of God is also restored, so that readers could clearly see about whom was spoke and who said something, the lord Jeshua (Jesus Christ) or the Lord of lords”Jehovah“. In this Interlineary literal Word for Word English translation ‘Signs of Emphasis’ were given; whilst under each Greek word the English equivalent is printed. In the slim right-hand column of each page is presented a modern English translation as made by Benjamin Wilson. Also a copious selection of ‘References’; many appropriate, illustrative, and exegetical ‘Foot-notes’; and a valuable ‘Alphabetical Appendix’ are given. This combination of important items could not be found in any other book at that time. Such literal translations made many bible Students to see much things more clearly. Also Charles T. Russell, learned that the inspired Greek Scriptures speak of the second “presence” of Christ, for the Diaglott translated the Greek word “parousía” correctly as “presence,” and not as “coming” like the King James Version Bible. Accordingly when C. T. Russell began publishing his new Bible magazine in July of 1879, he called it Zion’s Watch Tower and Herald of Christ’s Presence. The Christadelphians allowed also the Millenial Dawn Bible Students (later the Watchtower Society) to distribute Wilson’s work widely around the world from 1902. Also the Church of God of the Abrahamic Faith and the Church of the Blessed Hope which he founded are still part of the Christadelphian movement which still print this Bible translation. Every student of God’s plan, as presented in the Tower, ought to have the aid which the Diaglott affords. As such this translation became a useful attribute for the later standard Bible of the Jehovah’s Witnesses, The New World Translation. In 2004, the Abrahamic Faith Beacon Publishing Society brought home The Emphatic Diaglott and re-published a new version of it, working in partnership with The Christadelphian Advancement Trust. In the homeschooling opposite to traditional Christian schools it were mostly women who took up the job as teacher. Having only bibles in Old English they wanted books in a more contemporary language and put pressure on the existing clergy. From the congregations also came a louder cry to provide them with modern language bibles. Answering that cry from the housewives and teachers in 1870 an invitation was extended to American religious leaders for scholars to work on the revision of the Authorized Version/King James Bible of 1611. In 1871, thirty scholars were chosen by Philip Schaff. The denominations represented on the American committee were the Baptist, Congregationalist, Dutch Reformed, Friends, Methodist, Episcopal, Presbyterian, Protestant Episcopal, and Unitarian. In England also there was a request to have a revision and by the Convocation of Canterbury in 1870 two companies were formed, one each for the Old and New Testaments to revise the King James Version. Parallel companies in the United States received the work of the English scholars to return their comments. For those at work it was made clear only a revision and not a new translation was contemplated. 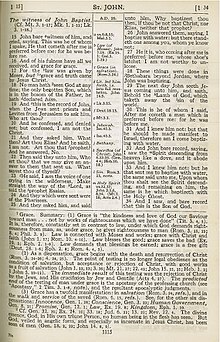 The New Testament was published in England on May 17, 1881, and three days later in the United States, after 11 years of labour. Over 30,000 changes were made, of which more than 5,000 represent differences in the Greek text from that used as the basis of the King James Version. Most of the others were made in the interests of consistency or modernization. In the traditional churches there was not much interest in the Old Testament, this not fitting in with the accent of their teaching on Jesus, instead of God. On certain points the English and Americans did not agree. At that time the Americans still gave in to the British revisers and published preferred readings and renderings in an appendix to the Revised Version. In 1900 the American edition of the New Testament, which incorporated the American scholars’ preferences into the body of the text, was produced. A year later the Old Testament was added, but not the Apocrypha. The alterations covered a large number of obsolete words and expressions and replaced Anglicisms by the diction then in vogue in the United States. As shown above women and the general American public made use to talk about the Bible and to use it at home. The publishers could not ignore their wishes and provided them with some official version which could offer an alternative for the partly published Bible books and for the unofficial translations into modern speech made from 1885 which had gained popularity. Their appeal reinforced by the discovery that the Greek of the New Testament used the common non-literary variety of the language spoken throughout the Roman Empire when Christianity was in its formative stage. 11th April 1612. Dangerous Heresy. What is Wrong with Evangelicals in America? Edifying Christian Biographies That Will Bless Every True Christian! How much ‘overexaggeration’ is enough?